Born in Tomaszów Lubelski, Poland, Marek Kudlicki began his musical education at the age of five. He then went on to study organ and conducting at the Music Lyceum in Lublin. Continuing his development at the Music Academy in Cracow, he completed his master’s degree with honours after which he went to Austria for post-graduate studies at the Academy of Music in Vienna. Mr. Kudlicki has travelled the world as a concert organist with performances in North and South America, Australia, New Zealand, the Far East and Europe (34 concert tours to the U.S. alone). Parallel to his organ concerts he has kept up a steady schedule of conducting engagements with symphony and chamber orchestras and has conducted performances for international radio, television and recording companies. 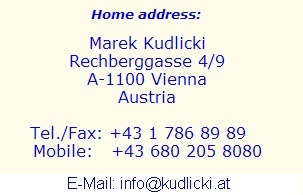 Resident in Vienna for the past 30 years, Mr. Kudlicki has established himself as a truly international and versatile artist. His repertoire ranges from standard orchestral works to lighter programs of Strauss, Lehar, Stolz, etc. as well as promoting music from his native country, such as Henryk Mikołaj Górecki’s Third Symphony. For three seasons he toured Germany as conductor for well-known operettas – “Im weissen Roessel” (The White Horse Inn) by Ralph Benatzky and Robert Stolz, “Csardas-Fürstin” (The Csardas Princess) by Emerich Kalman and the comic opera “Zigeunerbaron” (The Gipsy Baron) by Johann Strauss. No stranger to opera, our artist has collaborated with renowned singers for more than two decades. His CD is a compilation of 17 tenor arias from celebrated operas. In this Symphony (Third Symphony by Henryk Mikołaj Górecki) the sound reminded me irresitibly of a large organ. It was certainly intensified by the faultless playing of the musicians, the characteristic acoustics of the church, as well as through the person of the splendid conductor Marek Kudlicki. The evening concert was beautiful and a success. The piece (Symphony in D major by Michael Haydn) was played with enormous gracefulness and precision. 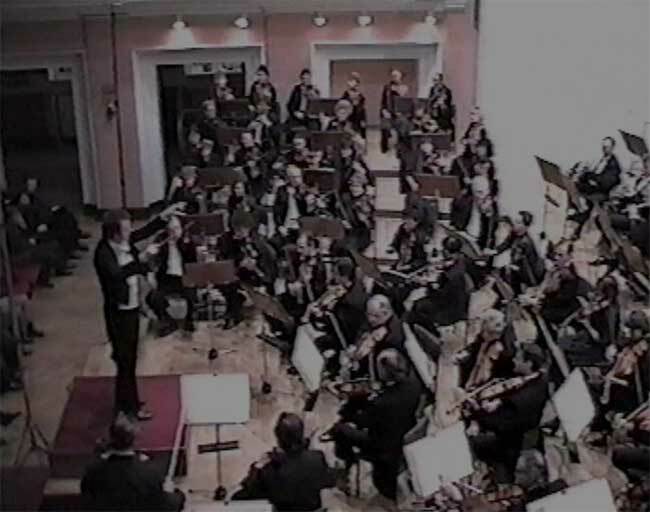 The audiences attached considerable expectations to the performance of “Three Pieces” by Henryk Mikołaj Górecki. Marek Kudlicki, together with the orchestra, mastered the thick composition magnificently – all performed clearly and dynamically. Marek Kudlicki, who led the “Concert of the Austrian Embassy”, moved the listeners to astonishment. He mobilized the Silesian Philharmonic Orchestra into a rousing performance. Kudlicki – an excellent organist and conductor – proved that he has deep feelings for the symphonies of Zemlinsky and Bruckner. He understands how to interpret those works and to deliver them in a manner which captivates the audiences. To close, the Symphony No. 1 in e minor, Op. 1 by N. Rimsky-Korsakov was heard. 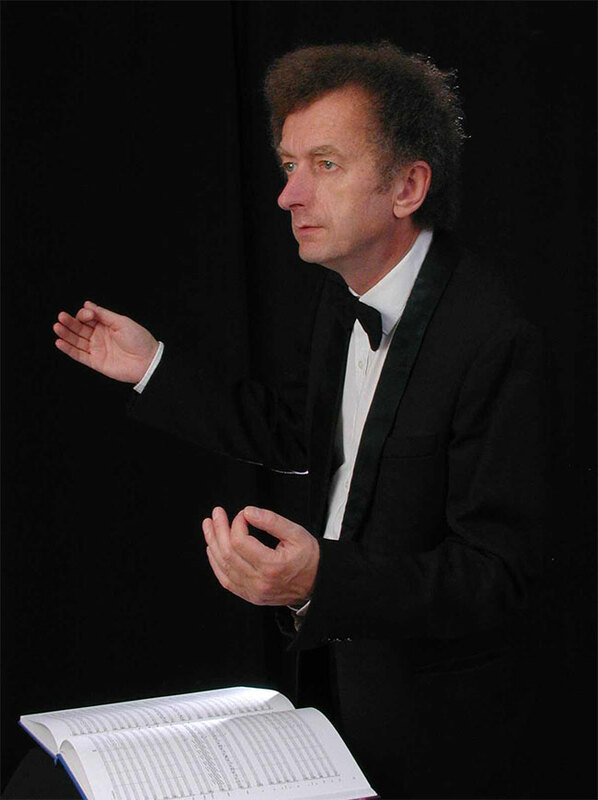 Marek Kudlicki conducted the work from memory. As an organist used to the rich harmonic sounds of this instrument, he mastered the sumptious score and the melodic humour of the symphony with bravado. The entrances of the individual instruments were thoroughly recognizable. - Waltzes, polkas, marches etc.